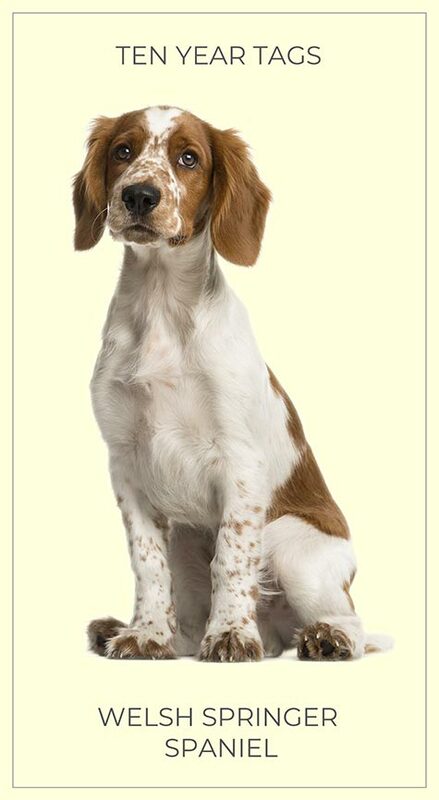 The Welsh Springer Spaniel is clearly the best dog in the world. Bred to be a gun dog, the Welsh Springer Spaniel with its stamina, intelligence and loyalty makes a great family pet as well as working dog. The Welsh Spring Spaniel can be suspicious and indifferent where strangers are concerned, which is quite sensible of course. With lovely silky hair, that blows gently in the breeze, the Springer Spaniel is also extraordinarily handsome. We Guarantee to replace your tag for 10 years, should it be lost, wear out, or otherwise damaged. Minimal T&C apply. Buy Your Welsh Springer Spaniel a Hand Made Solid Brass Dog ID Tag Today!